Emily's skating career and personal life have never been more golden. She and her partner Chris have won every competition they've entered this season, and she's found the man of her dreams in her coach Sergei. 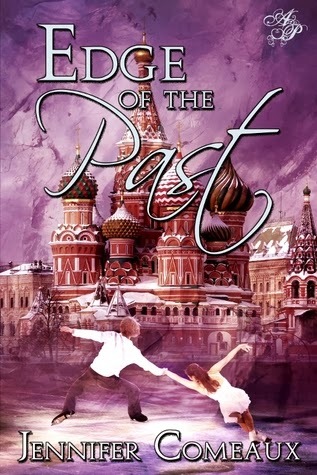 But when one of the biggest competitions of the year takes Emily and Sergei to Russia, Sergei's past explodes into the present and makes Emily doubt everything in their future. Emily and Sergei’s relationship continues to grow and they are about four months away from the wedding. A trip to Russia can change things forever. Will a mistake 10 years ago make Emily and Sergei’s relationship stronger or will it tear them apart? How will Emily and Sergei’s families feel about it? Throw row in a torn rotator cuff with Em’s skating partner and worlds just a few weeks away. I found myself devouring each page wanting to know how things would turn out. I don’t like Elena and I think she is selfish. Liza is a doll but a complication. I am having a hard time liking all the choices that Sergei makes. I felt all of Em's emotions and her heart is in the right place. I was pleased with the ending and am hoping to read more from Ms. Comeaux she has an awesome talent for telling stories! Just FYI~ This has no swearing or sexual situations in it!